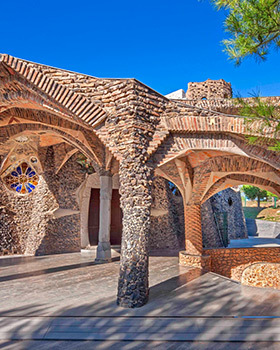 Gaudi’s Crypt is located inside the Colonia Güell, a textile village packed with surprises just 20 minutes outside Barcelona. The Crypt is the church of twisted columns, the laboratory for the Sagrada Família and it was declared a World Heritage Site by UNESCO in 2005. 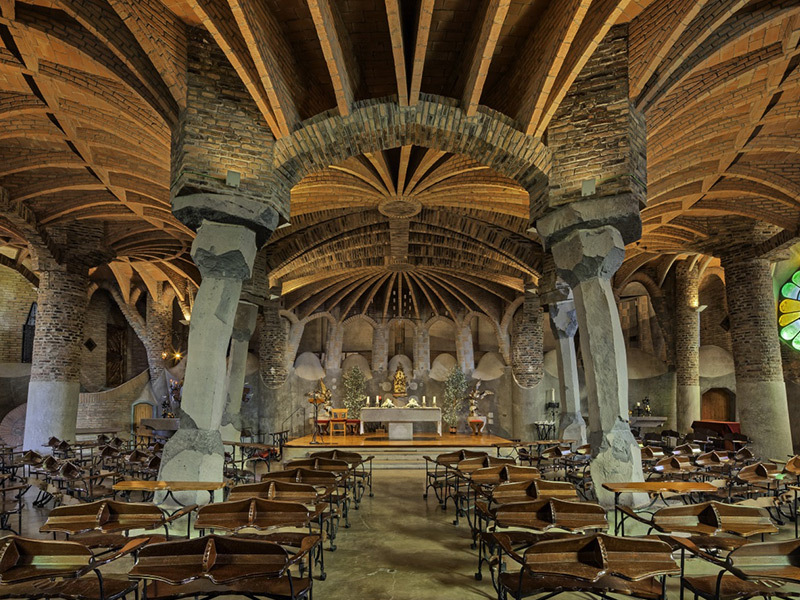 You’ll be amazed at the Crypt, where Antoni Gaudí experimented with many architectural solutions. In addition to Gaudi’s building, the Colonia Güell gives visitors the opportunity to explore its streets and also visit the Interpretation Centre inside the former workers’ cooperative that has a permanent exhibit that provides the keys to understanding the village and the church. Getting there: You can travel by train 'Ferrocarrils de la Generalitat (FGC)', from Plaça España (Barcelona), Lines S33, S8 and S4. Stop at Colonia Güell. Transport is not included.